Learning how to trade with price action is like learning how to fight. 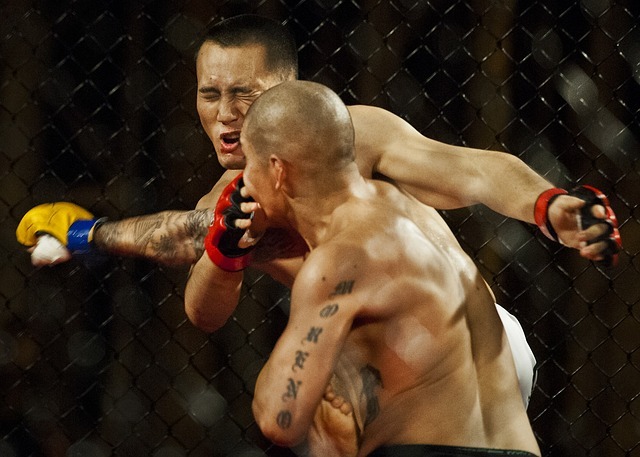 With a burst of punches, you can overcome your opponent with brute force. Or you can step back, and quickly end the fight with one swift strike. Each fight is different, and there is no right way to do it, as long as it works. Price action trading is the same. You can go with the trend or watch for the range breakout. You can add volume to the mix, or use a moving average to complement price patterns. There are too many ways to act and react that it becomes a problem. Even if you understand the price action in front of you, it’s hard to figure out how to improve your trading with what you see. Here are four practical and powerful ways to ramp up your trading performance. 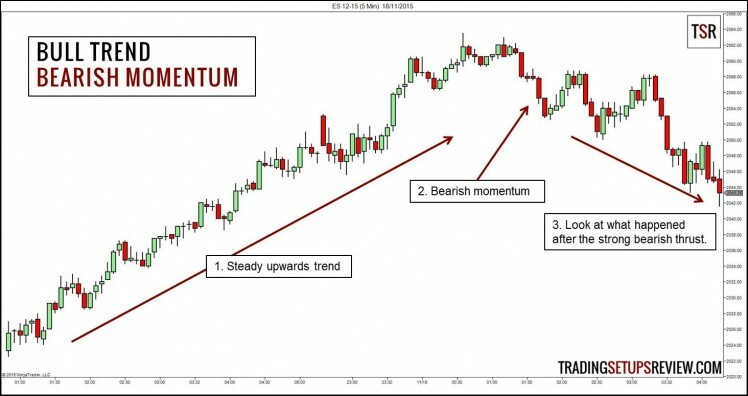 Price momentum points out the path of least resistance in the market. It is not wise to go against the most recent show of power, whether by the bulls or the bears. The chart below shows the first hint of bearish momentum in a mature bull trend. The chart below shows what happened after that show of strength by the bears. The practical lesson is this: follow the trend but don’t miss the momentum. While price patterns are well-defined, price momentum is not. But applying common-sense and asking the right questions can help you decipher it. Use these questions to keep your mind engaged with the market flow. Are there consecutive bullish bars? Are powerful bullish bars enjoying follow-through? 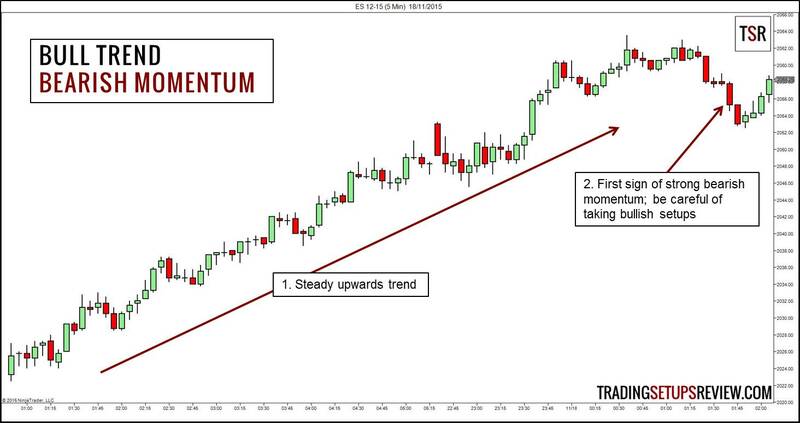 Did the upswing exceed the last swing high by a considerable margin? The more ‘yes’ you answer to these questions, the more likely you are facing bullish momentum. In that case, do not take bearish trading setups, or at least delay your bearish entries. The same logic applies to finding bearish momentum. Just look for the reverse. Never be anxious to enter the market. You will get trading setups that you really want to take. But you have a nagging uncertainty in your mind. You’re not entirely sure. In that case, simply wait. Be patient, and be rewarded. Wait for price action to clear up before taking a trading setup. When you delay your entry, there are three possible outcomes. The market moves quickly in your anticipated direction. You miss a profitable trade. The market offers a better, more reliable delayed entry. The market breaks and erases your trading premise. You avoid a losing trade. So yes, you will miss some great trades. But you’ll be compensated by more reliable setups and fewer losing trades. This ES futures chart shows an effective delayed entry. This bullish pin bar bouncing off a bull trend line was a solid long setup. However, because of the three consecutive bearish bars and the selling pressure at the top of the trend, we were uncertain if the bull trend would continue. Hence, we waited for a second entry. This delayed setup had minimal adverse movement and performed better than the first pin bar setup. For more practical examples, look at this re-entry strategy. I’d never suggest that you trade narrow range bar patterns (NR4 and NR7) indiscriminately. Well, narrow range bars might be a sign of a congested market that offers little profit potential. But narrow range bars can also be attractive low-risk trade entries. That is if you find them as a slight pause before a price break-out. One of the best practical approach to day trading makes use of narrow range bars. 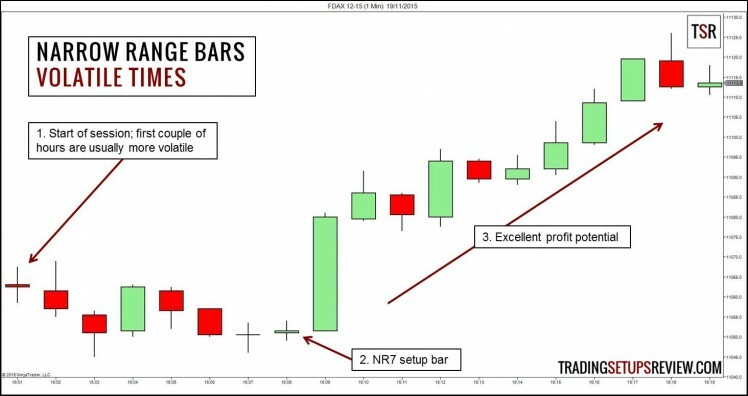 Narrow range setup bars during volatile trading hours offer excellent reward-to-risk. In this chart, we focused on the beginning of a FDAX futures session when volatility was usually high. A bullish NR7 setup bar. 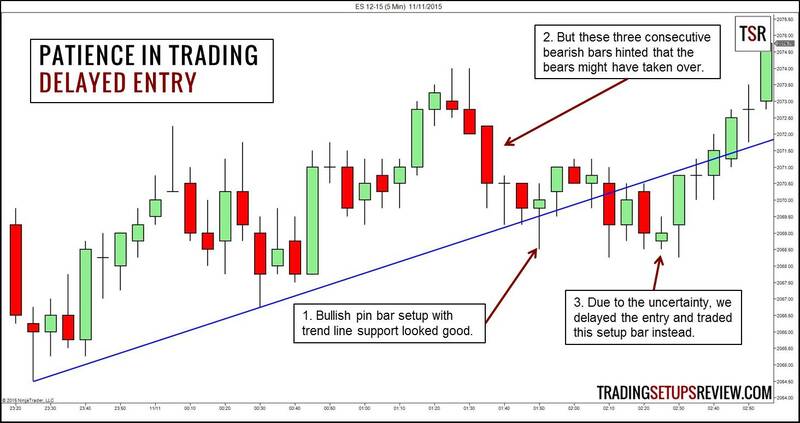 When looking for narrow bar setups, it’s important that you don’t over-trade. If you take every narrow range bar you see, despite the low risk per trade, you will bleed to death by a thousand cuts. Now that you know how to select good entries with price action, let’s take a look at trade exits. When do you want to exit your trade? Traders crave the perfect exit at the top of a bull trend or the bottom of a bear trend. Other than rare incredible luck, it’s impossible. Fortunately, we don’t need the perfect exit to make money. We just need practical and reliable targets to offer us the positive expectancy we need. Price action offers solid methods for setting trade targets. 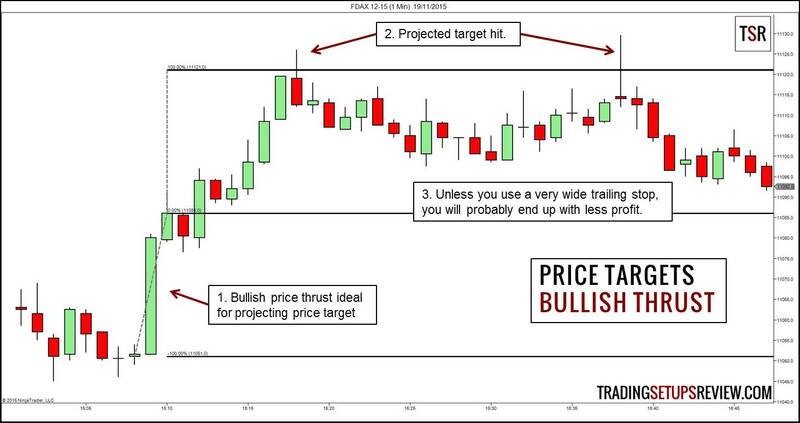 Other than support and resistance, you can also use price thrusts to project targets. It’s a useful skill to have for any trader. This example shows the same NR7 setup in the FDAX market. This bullish thrust was ideal for projecting a price target. The market hit the projected target before a deep retracement. It’s hard to imagine a better trade outcome. In trading, the best way to get big wins is from small changes. It’s always better to improve with small tweaks. Avoid drastic changes to your trading plan. Frequent big changes to your trading method will disrupt your performance. Now, it’s time for you to put these practical tips into use. Start by paying more attention to price. Note down what you observe and expect. Then, evaluate the result against your expectations. Refine. Intrigued by what price action can do? Check out my price action trading course. Se este trabalho(apenas os arquivos em pdf) estivessem disponiveis na amazon.com brasileira certamente eu os adquiria pelo motivo do ingles nao ser minha lingua patria,que e poutuguesa,e os ebooks adquiridos na amazon.com sao traduzidos pelo seu aplicativo. Mesmo assim parabens pelo material que a meu ver e de grande excelencia. Prezado Jose Roberto de Aquino, estamos trabalhando para traduzir os artigos do site para o português, incluindo o excelente ebook de price action. Em breve mando novas notícias! Obrigado pelos elogios! Thank you Jose for your support! Like Fernando mentioned, we are working towards a Portuguese edition of the books. I’ll drop you an email once it’s available!